Every year, too many Americans are either diagnosed with the disease or die from it. If the condition is not caught in a timely fashion, life expectancies are low. The American Cancer Society currently estimates that during 2016, about 117,000 men and 106,000 women will be diagnosed with lung cancer. Approximately 158,000 people will likely die of this disease during the same year. Lung cancer is the second most common cancer detected in both men and women. Of course, prostate cancer remains the deadliest form of this disease for men - and breast cancer poses the greatest threat to women. What Lung Cancer Cases are Medical Malpractice? Lung cancer malpractice lawsuits usually result from a delay in diagnosis. The most important determining factor in the prognosis and survivability of lung cancer is the stage of the disease. Early detection and treatment offer the best chances for long-term survival. Untreated lung cancers, particularly when the symptoms are there to be seen, have diminished chances for a cure. 2008, Maryland: $699,929.07 Verdict. A woman goes to Prince George's Hospital Center with chest pain. A chest X-ray is read to be normal. A year and a half later, she returns, complaining of shortness of breath and chest pain. An X-ray taken this time shows a three-centimeter mass in her upper left lung plus pleural effusion. A CT scan confirms Stage IIIA lung cancer, and she begins chemotherapy and radiation treatment. Unfortunately, she does five months later, before treatment is completed. Her Estate files a claim on her behalf, alleging the first X-ray revealed early malignancy and that the woman's death would have been avoided if her cancer was properly diagnosed at that point. A jury finds that the radiologist breached the standard of care and that his breach was the proximate cause of the woman's death. Her Estate is awarded $157,929.07 for economic damages and $342,000 for non-economic damages. The court later denied the defense motion for a new trial. 2003, Maryland. A man suffering from a pulmonary illness has a lung biopsy showing no evidence of malignancy. He has five CTs of his chest done as well, which confirm this finding of no lung cancer. He has lung surgery the next year, and finds out that he does have lung cancer - squamous cell Stage III. He dies a little over a year later after receiving radiology and chemotherapy treatments. His Estate alleges that his biopsy and five CT scans were misread and that if they were read correctly his cancer would have been diagnosed sooner when there was still a 60-80% chance of his survival. The defendants allege that their interpretation of the scans was accurate and that they did not show any evidence of the man's cancer. A jury finds for the defendant. 2016, Illinois: $2,500,000 Settlement. A 79-year-old woman goes to the ER after a fall while at church. She is admitted to the ER, and is treated for soft tissue injuries. An X-ray of her chest is done and she is discharged home. One and a half years later, she has a severe cough and she returns to the ER. The doctor determines that her coughing symptoms are caused by a mass in her right lung, which has grown since her last chest X-ray during her visit for a fall. The woman is diagnosed with Stage IV lung cancer that has spread to her lymph nodes. She does not respond to aggressive treatments and passes away from lung cancer. Her family's medical malpractice attorneys allege that the mass should have been communicated to the woman at the time it was detected during her emergency room visit, and that if it had been, the woman's life expectancy would have been ten more years. The defendants argue that if the cancer was diagnosed earlier, aggressive treatments would be required which would have negatively impacted her quality of life. The hospital settles the case for $2,500,000. 2016, Virginia:$1,301,646 Verdict. A 77-year-old man has a chest X-ray done. It is interpreted as abnormal. A second X-ray is done without the reading of the first image, and is read as normal. A year later, the man is diagnosed with lung cancer that has spread to his brain. He dies a few months later of lung cancer. His wife files this claim, alleging that the defendants failed to properly interpret the images and failed to compare the studies. A jury awarded the man's estate $1,301,646. 2016, Pennsylvania:$1,100,000 Settlement. A woman goes to the hospital with lightheadedness, nausea, vomiting, and high blood pressure. A chest X-ray is part of the diagnostic tests ordered. The woman is discharged without being informed of the results of her chest X-ray, despite a small abnormality detected in her lung. Two months later, she begins to have trouble speaking and controlling her hand movements. She is taken to the hospital, where a chest X-ray is done. This time, the radiologist interprets it as a mass, with likely metastasis to her left lung. It is determined that the cancer involves brain metastasis. The woman dies from complications of the lung cancer a few years later. Her Estate claims that the defendants were negligent in failing to review the chest X-ray and in failing to diagnose the woman with lung cancer when she had a better chance of responding to treatment. The parties settled, with the hospital paying $100,000 and the defendant radiologist paying $1,000,000. 2015, Massachusetts: $900,000 Settlement. An elderly woman is under the care of defendant nurse practitioner when she has an abdominal CT scan done to help diagnose her back pain. The scan reports a possible malignancy in the right lung, but the defendant does not tell the woman to follow-up or to have any further testing done. A year passes, and then the woman is diagnosed with Stage IV lung cancer. She brings a claim against the nurse practitioner, alleging that she failed in diagnosing her cancer timely, which was extremely important in increasing her chances of survival. Defendant alleges that if there was any delay, it did not alter the woman's prognosis because she was already in poor health. The parties settled the claim for $900,000. 2015, Massachusetts: $600,000 Settlement. The defendant is the plaintiff's primary care physician. Two years after this relationship is established, the patient has a CT done since she is complaining of back pain. This CT reveals a one-centimeter nodule in her left lung, and defendant tells her this and makes notes to order a PET scan and consult with a pulmonologist. The PET scan confirms this nodule exists, however defendant does not do anything else for six years. Then, a CT of the woman's neck is done, which reveals a 2.3-centimeter nodule in her lung and that the cancer metastasized into her brain and mediastinum. At this point the woman is diagnosed with Stage IV metastatic adenocarcinoma. Treatment is attempted, but she dies just five months later. Her Estate alleges negligence on the part of the primary care physician, in failing to follow-up during the six-year period after the original nodule is seen on the CT scan. Her Estate believes that if the cancer was diagnosed and treated at that point, it would have been cured. The defendant argues that the cancer the patient died from was not related to the 2006 nodule seen on the CT. The parties settled for $600,000 in a confidential settlement. 2015, Massachusetts: $500,000 Settlement. A female patient is diagnosed with breast cancer and has a CT of her chest done as part of her treatment, which shows a density in her upper lungs. She is told to follow-up in six months, which she does. Defendant radiologist now notes a density in the same area, and identifies it as an "infiltrative process," and doesn't recommend any sort of follow-up. Her physician did order a six month follow-up, which is read by a different defendant radiologist who makes the same finding as her physician, but does not recommend follow-up. Four years after this, the woman is diagnosed with Stage IV lung cancer and dies in less than six months. Her Estate sues the radiologists for failing to recommend follow-up testing after they identified the area where the cancer was located on the scan. Her Estate asserts that an earlier diagnosis would have helped increase her survival chances. The radiologists argue that the cancerous tumor developed after the scans that they read. The parties resolved the issue during mediation for $500,000. 2014, Pennsylvania: $1,975,713 Verdict. A 68-year-old woman goes to defendant hospital with chest pain, shortness of breath, excessive sweating, nausea, and a headache. The ER admits her, and orders a chest X-ray. During this overnight stay, none of the staff tells her about a 2.3-centimeter nodule that they discovered in her lung nor do they tell her to seek follow-up care for this. Instead, the radiologist saw the nodule and recommended a CT scan of her lung for more information, but this was never done and the woman was never told about the suspicious finding. 19 months later, the woman is diagnosed with lung cancer when an eight-centimeter malignant nodule is found in her left lung. By this time, the cancer had traveled to other parts of her body such as her brain. Six months after this diagnosis, she passes away. Her Estate alleges that if the CT had been immediately performed when she was at the hospital, her cancer would have been diagnosed and treatment initiated, and this would have increased her chance of survival greatly. The hospital argues that the results of the X-ray were normal, and that there was no evidence that an earlier diagnosis would have changed her prognosis. A jury finds the hospital 33.4% negligent, the ER physician 33% negligent, and the attending physician who discharged the woman 33% negligent. The woman is awarded $1,975,000. 2014, Kentucky: $1,750,000 Settlement. A 53-year-old female is having spinal surgery. During pre-op procedures, a chest X-ray is done and an abnormality is found. A CT-scan is done two days later, and the defendant radiologist reads it as showing pneumonia. The woman then asked defendant pulmonologist about it, who recommends a two-month follow-up CT, which is done on time. This is interpreted by the same radiologist who then tells the woman that his interpretation of the scan hadn't changed and that the abnormality was scar tissue. Defendant pulmonologist's office didn't get a copy of this report, and didn't follow-up. Three and a half years pass, and then the woman develops a cough and heavy sputum. She consults defendant pulmonologist again. He conducts testing and finds that there is a large lesion in the same spot as a few years ago. She is diagnosed with inoperable metastatic lung cancer. She alleges that the delayed diagnosis and failure to follow-up with her was negligent. The defendants argue that the image did not appear to be lung cancer and that it was her fault she didn't follow-up with the pulmonologist. Additionally, they argue that an earlier diagnosis would not have changed her prognosis. At mediation, the parties all settle for $1,750,000. 2014, Massachusetts: $11,000,000 Verdict. A 45-year-old woman goes to Brigham & Women's Hospital with a cough and chest pain. They do a chest X-ray to eliminate pneumonia, which is read to be negative by the radiologist. Thirteen months after this, she has a CT scan of her chest as she continues to have a cough and some other pain. This CT shows a nodule in the upper part of her lung, which has doubled since her chest X-ray was done and also has spread through both of her lungs and lymph nodes in her chest. Chemotherapy is unsuccessful, and it spreads to her pelvis, kidneys, spine, and liver. She ultimately dies nine months after the diagnosis. Her Estate alleges that the radiologist who read the woman's chest X-ray failed to do so properly and resulted in the thirteen-month delay in a cancer diagnosis. They argue that at that point, the cancer was at a treatable stage, and the delay resulted in the woman's untimely death. The defendants attempt to argue that the nodule on the X-ray was hard to see and not easily diagnosed, and that the cancer had already spread. A jury awards the woman's Estate $1,000,000 for pain and suffering, $3,000,000 for past loss of consortium, and $7,000,000 for future loss of consortium. 2014, Massachusetts: $800,000 Settlement. A woman goes to her primary care physician, defendant, complaining of a persistent cough. She is diagnosed with asthmatic bronchitis, and a chest X-ray is done. The interpreting radiologist orders a CT scan after observing a 5-millimeter nodule, as well as other follow-ups. Six months later, the nodule is found to have not changed, and no imaging studies are ordered for two years. The woman changes physicians, and a chest X-ray done by her new physician revealing a mass that is suspicious for malignancy. A CT and biopsy are done, confirming the woman's Stage IV squamous cell lung cancer. She dies six months later, but her Estate brings a claim alleging that the defendants failed to properly follow-up on questionable images and failed to timely diagnose the woman's lung cancer, giving her no opportunity for a cure. The parties settle in a confidential settlement agreement for $800,000. 2013, Massachusetts:$1,250,000 Settlement. A 42-year-old man goes to the ER complaining of aches and fever. A chest X-ray is done, and the defendant radiologist finds that it indicates he has fluid in his lungs and pneumonic consolidation. No follow-up CT is recommended. Twelve months later, another chest X-ray is done, revealing a large soft tissue density lateral to his distal trachea and right main stem bronchus. At CT confirms cancer, and he is diagnosed with non-small cell lung cancer, which cannot be surgically operated on. He brings a claim, alleging the radiologist was negligent in failing to properly interpret the results of his first chest X-ray, resulting in a twelve-month delay in diagnosing his cancer. The defendant argues that this delay did not really affect the man's prognosis. In a confidential settlement, the parties settled for $1,250,000. 2013, Massachusetts: $500,000 Settlement. A woman goes to her primary care physician with abdominal problems. A CT- scan is done, noting a one-centimeter nodule on her lung. She goes for a follow-up three months later and another six months later, at which times there are found to be no changes in the nodule, prompting defendant to tell the woman that she did not need to follow-up anymore. However, three years later, the woman has extreme back pain that is not resolving. Tests determined that she has metastatic cancer, which has spread from the lung where the nodule was discovered three years prior. She is diagnosed with incurable Stage IV cancer. She brings a claim against her primary care physician alleging that he failed to monitor the nodule for eighteen months to rule out cancer, but he argues that the woman had been in advised in writing that she should follow-up for two years. The parties agreed to settle the case for $500,000. 2013, New York:$1,350,000 Settlement. A 61-year-old woman goes to defendant ENT with throat pain lasting several weeks. Defendant ENT refers her for a CT scan but then fails to tell her that the radiologist who read her films found abnormalities in the upper lobes and recommended a diagnostic work up. The woman claims that as a result, her lung cancer went undiagnosed for a year and a half, resulting in a substantial decrease in her lack of survival. A few months after she is diagnosed, she dies. Defendant ENT argues that he did tell the woman to see a pulmonologist and told her about the abnormalities, however there were no notes of this in the medical records. The defendant also argues that the woman would have died due to the cancer even if he had diagnosed it. The parties settled before trial for $1,350,000. 2012, Massachusetts:$1,000,000 Settlement. A woman goes to her primary care physician with a persistent cough in addition to coughing blood. A chest X-ray is done. Defendant radiologist claims the X-ray is normal. A year passes, and then the woman begins to suffer from palpitations, shortness of breath, and chest pain so she goes to the ER. At the ER she is diagnosed as having a mass in the right lobe of her lung, and tests confirm that cancer has spread to her lymph nodes. She is diagnosed with stage IIIA small cell lung cancer. She claims that the mass was in the chest X-ray done one year prior, and that as a result of the failure to diagnose or disclose this she is left with only a 25% chance of long-term survival. The parties settle for $1,000,000. Lung cancer is not a one-size-fits-all disease. It is a broad range of diseases with different pathological, clinical and epidemiological characteristics. The diagnosis and treatment of lung cancer is tailored to the subtype and unique molecular abnormalities. Before looking at the other diseases that doctors often mistake for lung cancer, it will help to define the three different types of lung cancer - and then review lung cancer symptoms, stages, and diagnostic tools. Most lung cancers are composed of abnormal cells that have bonded together to form a tumor. When this process takes place - or spins out of control - the surrounding, healthy lung tissue can be destroyed. So, beating a dead horse, it is critical for every doctor to move forward carefully, seeking the most accurate diagnosis for each patient -- as soon as possible. There are two major types of lung cancer, along with a less common third one. The two most common types are (1) small cell lung cancer (SCLC) and (2) non-small cell lung cancer. The third less common form of this disease is called carcinoid lung cancer. Small cell lung cancer (SCLC) is nearly always caused by smoking. It's normally treated with some form of chemotherapy. It was given this name based on how the cancer cells look when they're viewed through a microscope and due to the particular kinds of cells involved. According to the Kaplan-Meier Curve, the overall survival of patients with limited stage SCLC is approximately 30% at three years. Patients who survive limited stage SCLC for 36 months or more are considered cured. The standard of care multi-modality therapy for limited stage SCLC which included chest radiotherapy, two agent chemotherapy and prophylactic cranial radiotherapy. Non-small cell lung cancer (NSCLC) is present in roughly 80% of all cases of lung cancer. The one, slightly positive aspect of this cancer is that it usually moves slower through a person's body than SCLC. Five-year survival rates for patients with Stage I NSCLC range from 45% to 80%. The National Cancer Institute's SEER (Surveillance, Epidemiology and End Results) database indicates a 49.5% 5-year survival for patients with "localized" NSCLC. There are three different types of non-small cell lung cancers. Adenocarcinoma. This type of cancer is often discovered in the outer portion of one or both lungs. It takes root or grows in the epithelial tissues that are found throughout the body. Large cell carcinoma. This particular cancer can grow and spread rather fast. It is often found in various parts of a diseased lung. Squamous cell carcinoma. This cancer is often found right in the middle of the lung, next to a bronchus or air tube. Carcinoid lung tumors. These are not very common and often don't grow very fast. When carcinoid tumors do form, they are made up of neuroendocrine cells. This type of cancer is frequently treated with surgery. These tumors are often further classified as being either typical or atypical carcinoids. You'll need the help of a highly qualified and responsible physician to locate and then properly distinguish between these many different types of cancers. These are just some of the other medical conditions that doctors may wrongly guess you have instead of lung cancer. What becomes particularly challenging for patients is when lung cancer is improperly ruled out, it can then progress to more advanced stages, later limiting the available treatments once this cancer is found. Also, if the wrong condition is treated, patients may be forced to endure painful and unnecessary tests that may inflict added harm. Of course, one of the worst problems about having your doctor fail to properly diagnose lung cancer at an early stage is that it may begin spreading (metastasizing) elsewhere in your body - before you ever begin to experience significant breathing problems. Ultimately, the only recommended screening test for lung cancer is low-dose computed tomography (also called a low-dose CT scan, or LDCT). But if your doctor believes you might have lung cancer, one or more of the following tests may be ordered. 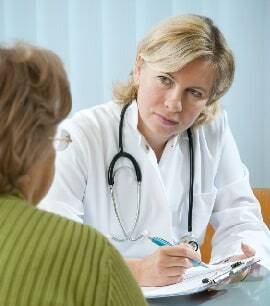 The tests are often chosen based on the suspected stage of your cancer. Sputum cytology. Doctors may want to look at the substance you're coughing up to see if any cancer cells are present. Of course, tissue samples can be easily misread by some doctors, especially if inflammation is present in the area where the sample was obtained. Again, the earlier you catch lung cancer the better off that you are. Stage IV. During this latter stage, your cancer has very likely moved into both lungs or to distant or remote parts of your body. If you or a loved one has suffered because a doctor failed to provide you with a timely diagnosis of your lung cancer, call us today at 800-553-8082 or get a FREE on-line consultation. You may be a candidate for a medical malpractice lawsuit that could pay you money for your past (and related future) medical expenses, lost wages, and most importantly, pain and suffering. Settlement Values on Maryland Malpractice Cases?